Yeah, I get it. Crazy is one thing, but sewing men’s pants? WTF am I thinking? I’m thinking my husband needs trousers and I’m not finding any I like and there was this cheap fabric I’d picked up, so what the heck? Truth be told, it’s not any harder than sewing pants for women. The biggest difference is that I have to put belt loops on my husband’s pants because he always wears a belt, and I can leave belt loops off of mine since I seldom wear a belt. 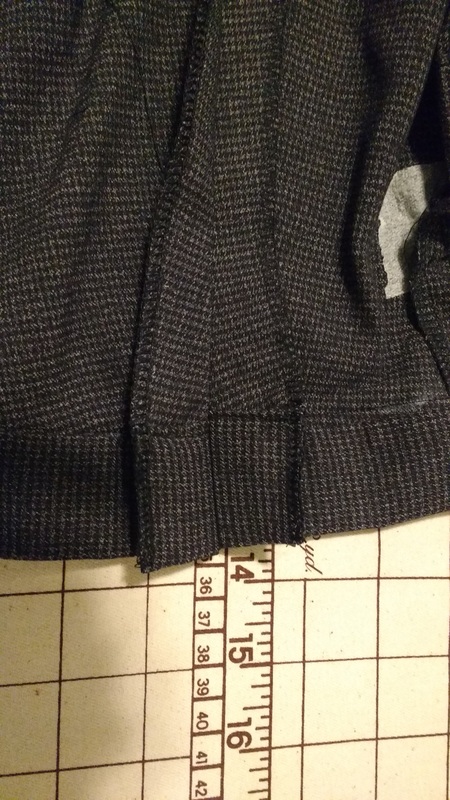 Oh, and the center back seam is wider at the waist to make it easier to adjust the fit later as someone’s waist expands or not. Since we women are more likely to expand and deflate, you’d think you’d see that on women’s pants, but no. Yes, there is a little more tailoring… Well, I wouldn’t call it tailoring, but you can get fancier with your finishes on the inside. But I’m not going to. It’s not going to show and it doesn’t affect the fit. Why bother? Besides the belt loops, the big lesson here? 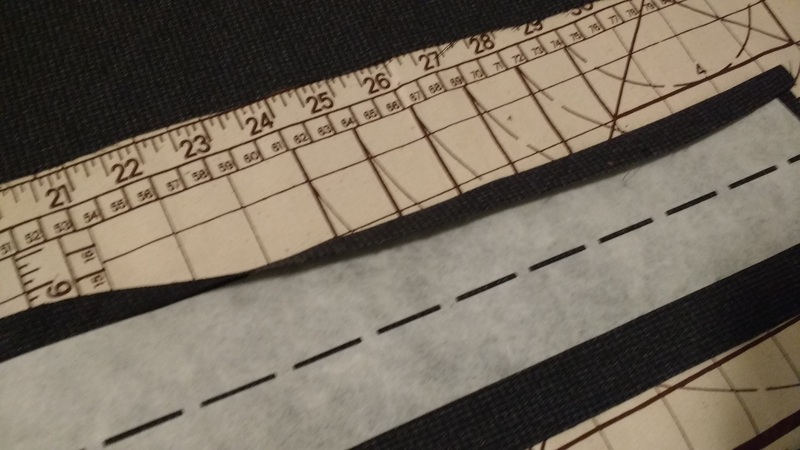 If you know a better way to do something than what the pattern instructions say, dump the pattern instructions. That being said, it doesn’t hurt to read them first. 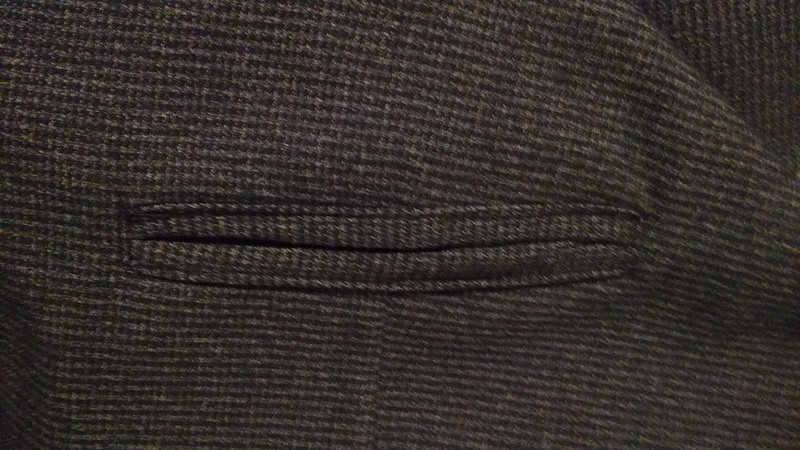 Waistband interfacing – It did make things easier. Tah-dah! 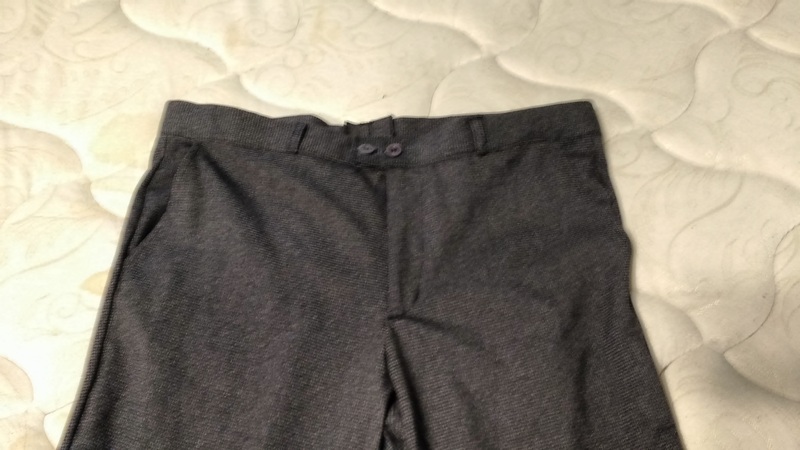 Men’s pants. And they fit him, too.